The topic of Raised ICP is not only usefull in theory but in practicals as well. The normal range for ICP varies with age. Values for children are not as well established as for adults. 1.5 to 6 mm Hg for term infants. 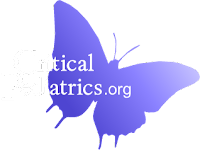 ICP can be sub- atmospheric in newborns. Usually normal limits are taken as 5 to 15 mm Hg. Current pediatric data support an ICP >20 mm Hg as threshold to define intracranial hypertension requiring treatment. Sustained ICP values of greater than 40mm Hg indicate severe, lifethreatening intracranial hypertension. A surge in ICP normally occurs with activities such as suctioning, painful stimuli, and coughing and does not warrant intervention unless it does not return to baseline within about 5 minutes. It is important to distinguish “normal” or expected increases in ICP vs intracranial hypertension because the latter requires immediate intervention. Intracranial pressure is the sum total of pressure exerted by the brain, blood, and cerebrospinal fluid (CSF) in the non-compliant cranial vault. The Monro-Kellie doctrine states that sum of intracranial volume of brain (» 80%), blood (» 10%), and cerebrospinal fluid (» 10%) is constant. An increase in any one of these components must be offset by decrease in another to keep the total volume constant or else the ICP will increase. In response to increase in intracranial volume initial compensation occurs by displacement of CSF from the ventricles and the cerebral subarachnoid space to spinal subarachnoid space (vertebral canal), decreased production, and increased absorption of CSF. Infants and children with open fontanels and sutures may be able to compensate better but will still be susceptible to acute increases in ICP. Compliance is an indicator of the brain’s tolerance to increases in ICP. Each patient has varying degrees of compliance even with similar injuries. When the patient’s compliance is exhausted, there is a dramatic increase in the pressure/volume curve, leading to a rapid elevation in ICP. In an uninjured brain, cerebral blood flow (CBF) is regulated to supply the brain with adequate oxygen and substrates. Certain physiologic factors like hypercarbia, acidosis and hypoxemia cause vasodilatation, leading to increased CBF. Seizure activity and fever will increase cerebral metabolic rate and CBF. CBF in excess of tissue demand leads to hyperemia and increased ICP. Methods to decrease the cerebral metabolic rate, such as hypothermia and barbiturates, will decrease CBF and thus the ICP. Cerebral perfusion pressure (CPP) is the pressure at which brain is perfused. It is an important indicator of cerebral blood flow. CPP provides an indirect measurement of adequacy of CBF. It is calculated by measuring the difference between the mean arterial pressure (MAP) and the ICP (MAP – ICP), where MAP = 1/3 systolic pressure plus 2/3 diastolic pressure. A reduction in CPP can occur from an increase in ICP, a decrease in blood pressure, or a combination of both factors. CPP < 40 mm Hg is a significant predictor of mortality in children with TBI. maintains a steady cerebral blood flow (CBF) within a CPP range of 50-150 mmHg by vasoconstriction and vasodilatation of the cerebralvessels despite fluctuations in systemic blood pressure. Autoregulation is lost at CPP values less than 50 mmHg. Once autoregulation is lost, CBF and cerebral blood volume (CBV) become dependent on changes in systemic blood pressure. Others – ischemic stroke, hydrocephalous, idiopathic or benign intracranial hypertension. Hypoxic Ischemic Injury - airway obstruction, hypoventilation, shock. Metabolic – hyperpyrexia, hepatic failure, lead intoxication. Vasogenic cerebral edema is due to injury to blood brain barrier and increased capillary permeability around the area of injury or inflammation particularly in CNS infections. It can be local or diffuse and occurs around mass lesions and inflammatory processes (e.g., meningitis, encephalitis). Cytotoxic cerebral edema (Cellular swelling) occurs following cerebral ischemia and hypoxia causing irreversible cell damage and death. Osmolar swelling may occur because of increased local osmolar load around necrotic foci caused by infarction or contusion, and possibly because of increased cerebral blood volume (hyperemia) in CNS infections. When primary cause of increased ICP is intracranial, normalization of ICP depends on rapidly addressing the underlying brain disorder. Intracranial hypertension due to an extracranial or systemic process is often remediable. Trauma induced epidural or subdural hematomas, hemorrhagic contusions, and depressed skull fractures. Cerebral edema (most important cause after hematomas). Increased intrathoracic or intra-abdominal pressure as a result of mechanical ventilation, posturing, agitation, or Valsalva maneuvers. 2. patients with TBI who have an abnormal admission head CT scan. 3. Patients with a GCS greater than 8 also might be considered for ICP monitoring if they require a treatment that might increase ICP, such as positive end-expiratory pressure(PEEP). a. patients with multiple systemic injuries with altered level of consciousness and subsequent to removal of an intracranial mass (e.g., hematoma, tumor). b. must be considered in nontraumatic conditions in which an intracranial mass lesion is present (e.g., cerebral infarction) and has a likelihood of expansion leading to intracranial hypertension and clinical deterioration. 5. The duration of monitoring is until ICP has been normal for 24 to 48 hours without a need for therapy to reduce ICP. P1 (percussion wave) represents arterial pulsations. P2 (rebound wave) reflects intracranial compliance. Maintain ICP less than 20 to 25 mm Hg. Maintain adequate CPP usually greater than 60 mm Hg, by maintaining adequate MAP. Avoid factors that aggravate or precipitate elevated ICP. Elevated blood pressure is seen commonly in patients with raised ICP. Characteristically SBP increase is greater than DBP. It is unwise to reduce elevated blood pressure associated with untreated raised ICP, especially in patients with intracranial mass lesion, because the high blood pressure maintains cerebral perfusion. Sympathomimetic-blocking antihypertensive drugs, such as beta-blocking drugs (labetalol, esmolol) or central acting alfa-receptor agonists (clonidine), are preferred because they reduce blood pressure without affecting the ICP. Agents with a short half-life have an advantage when the blood pressure is labile. Systemic hypertension may resolve with sedation. If the decision is made to treat systemic hypertension, vasodilating drugs, such as nitroprusside, nitroglycerin, and nifedipine, should be avoided; these increase ICP, which may be deleterious to the marginally perfused injured brain. maintain hemoglobin concentration around 10 g/dL.